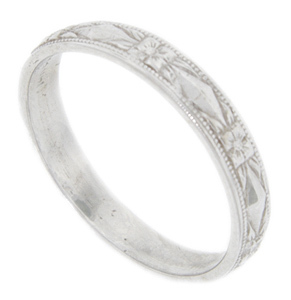 Crafted of 14K white gold, this antique style wedding band is covered with a design that is both geometric and floral. The wedding ring measures 3.5mm in width. Size: 6 3/4. Cannot be re-sized but we can reorder in your size.